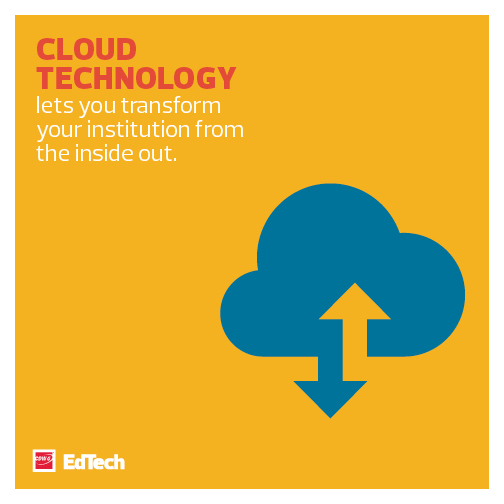 Cloud migration will look different from one university to the next, but two experts offer a peek at what institutions can expect when making the switch. 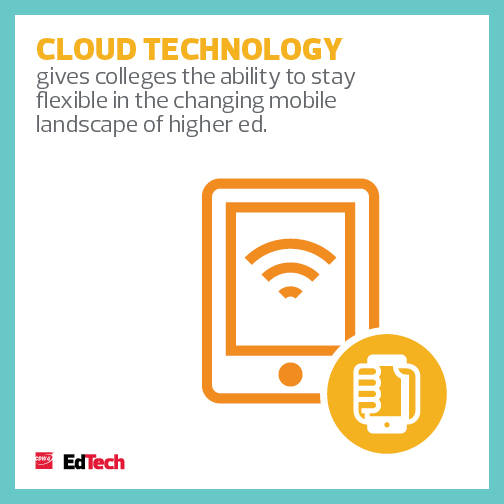 Making the cloud work for colleges and universities requires planning. 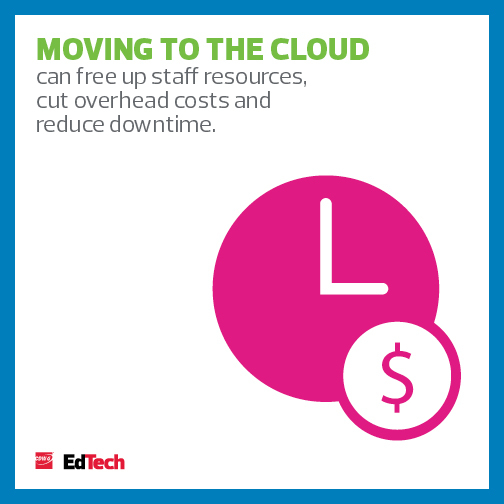 EdTech took a look at the steps necessary to achieve cloud success, presented during our webinar Keeping Up with the Cloud, featuring Jeff Giacobbe, the associate vice president of enterprise technology services at Montclair State University; and Beth Bischoff, a cloud productivity solution architect with CDW. 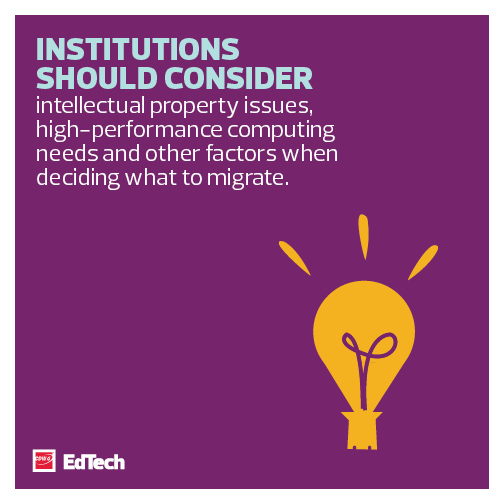 In that panel discussion, the pair outlined cloud benefits, considerations, security issues and more as they offered advice to higher ed institutions on the verge of migration. We've compiled these lessons into easily shareable images. Register for the free recorded webinar after reviewing highlights from Giacobbe’s and Bischoff’s presentations.